RSO has dropped some more new tunes. One is a Richie Sambora-led original, "Forever All the Way", which I really liked on the first listen. 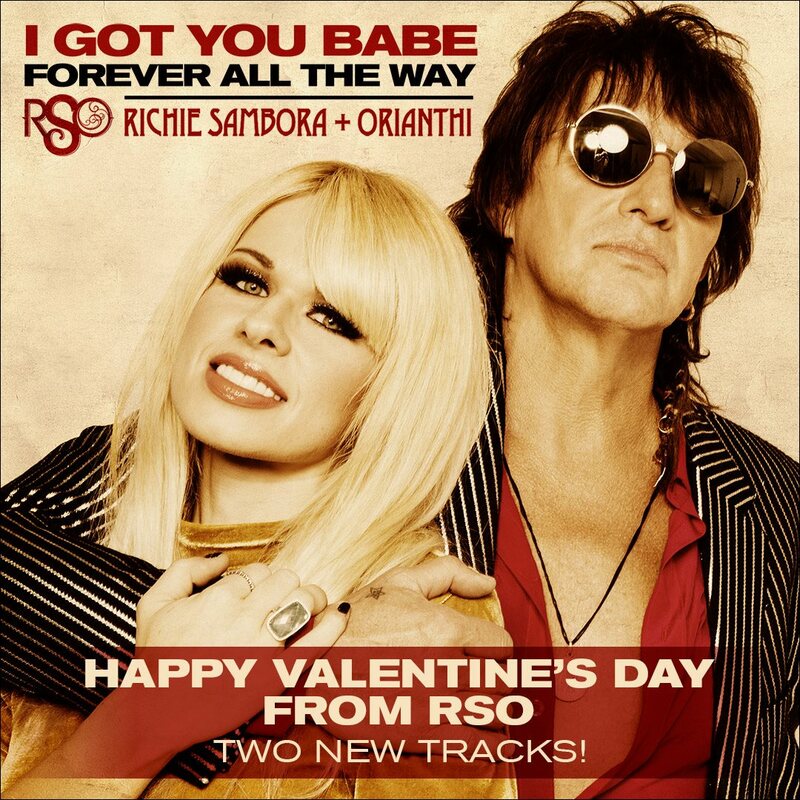 The other is a cover of Sonny & Cher's "I Got You Babe", which RSO has been teasing for a long time, even describing themselves as "Sonny & Cher on steroids" on numerous occasions since getting together. Given Richie dated Cher after she divorced Sonny Bono, I always found the comparison a little odd but that's not my thing to judge. 😉 I will say that I enjoyed RSO's version of the song a lot more than I'd expected to. The new tracks came out on February 9 and were billed as a Valentine's Day present to fans, presumably because they're both love songs. You can buy (download) or stream "I Got You Babe" and "Forever All the Way" via this link. You can also listen to them on YouTube.